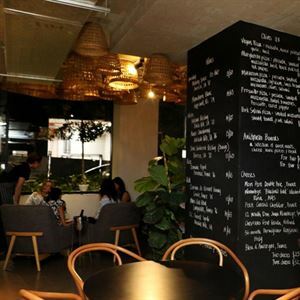 Located in the busy heart of Brisbane’s Fortitude Valley, find Nom Nom Korean Eatery along Ann Street, down Bakery Lane. 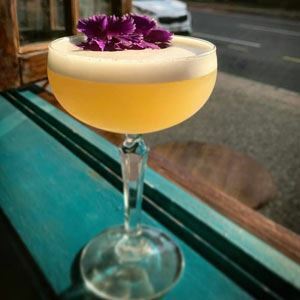 Simple, light wooden benches frame a brick entrance, leading the way to a sturdy bar stocked with groovy pot plants and ornamental jars all hiding an energetic kitchen, where hand drawn specials add to the sense of a playful community. Naturally, the foot traffic is dragged in by the prospect of taking part in a Korean street food journey, during lunch and well into the night, benches fill with families to commuters and couples looking to join in on the spectacle. 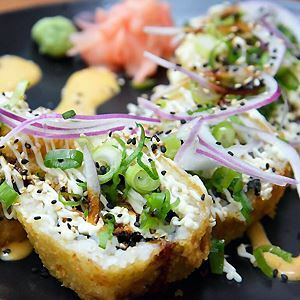 Dive into Korean fusion fare, featuring the likes of crispy Korean chicken wings with a choice of mayonnaise or spicy sauce, or perhaps delve into a classic soy marinated Bulgogi beef with vegetables and rice.